UPDATE | After a two and a half year transition period, the BBC is closing down the standard definition feed of BBC World News on the Astra 1 satellite system. Since 1st April 2015, an HD version of BBC World News has been distributed on Astra 1. In September, it will become the only way of receiving the station at 19.2°E, according to a note to distributors of the channel. The change will leave Sky News International as the only UK-based news channel broadcasting at 19.2°E in standard definition. 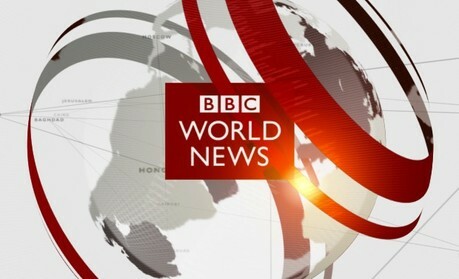 The affected SD service can be identified by the old "BBC World" label - the former name of BBC World News prior to April 2008. Cable and IPTV providers who relay the SD signal are being told to switch to the Hot Bird (13°E) version of BBC World News SD by 1st September, which will remain on air. Hot Bird is used as a primary source of satellite television in some Eastern and Southern European countries and as a secondary source in many other parts of the continent. HD is now the default way of broadcasting and receiving channels in a number of European countries. Update (1st October 2017): BBC World News SD has now closed on Astra 19.2E. Use the alternative frequencies below.